Thinking Out Loud In Sturbridge: "Marge, Where the Heck is this Building?" It looks like the Best Bib and Tucker Building (where the Copper Stallion is located). Correct, STUR! The Handmaiden Store is on the first floor, and the Copper Stallion is on the second. Bib and Tucker is out behind this particular building. I'm not sure if this one was too easy, or you are too savvy. My next photo will be a bit harder --I promise. 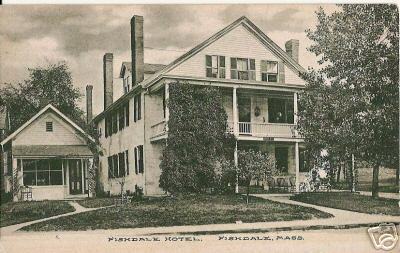 An old timer would have told you that it was the Fiskdale House. Thanks, Commoner. Check out the other old photo I posted, too.